I finished reading Wicked last night. It took longer than I thought it would and I wasn't fully satisfied after it finished. There was so much left unaswered, about religion, Yackle, if Glinda was an Adept. If I'm honest, I think I preferred the musical to the book, even with the Hollywoodesque happily-ever-after. The book is much darker and complicated, and I usually go for that sort of thing - but what I loved about the musical was the ideals of Elphaba, the bonds of friendship between her and Glinda. I didn't much see that in the book. I found it hard to sympathise with Elphaba of the book, as a failed terrorist having an affair with a married man with children who then does not have any affection for her own child. 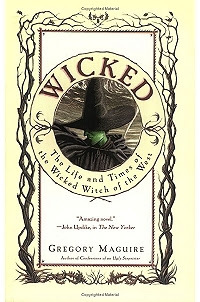 I found Wicked interesting to read, and I quite liked some of the characters (Nanny in particular) but it was difficult for me to sink into the book. It's possible that I'm too invested in The Wizard of Oz, or maybe my own moral concepts are blocking my view, but either way - it wasn't my favourite book in the world. I was disappointed with the ending too. It was just too rushed as if the author was suddenly in a hurry to be done with it. i didn't much care for the book either and it makes me hesitant to read the sequel. I've heard the musical is amazing. We live near Chicago and might try to see it someday. We also live right next to a town that is CRAZY about The Wizard of Oz... we have the Wizard of Oz Festival here every year! 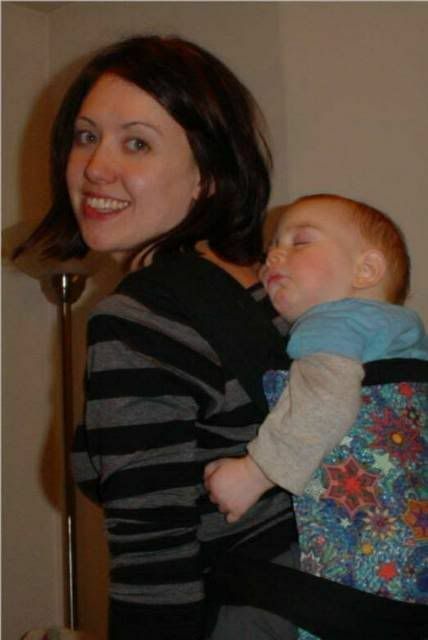 I bet you'd love it!